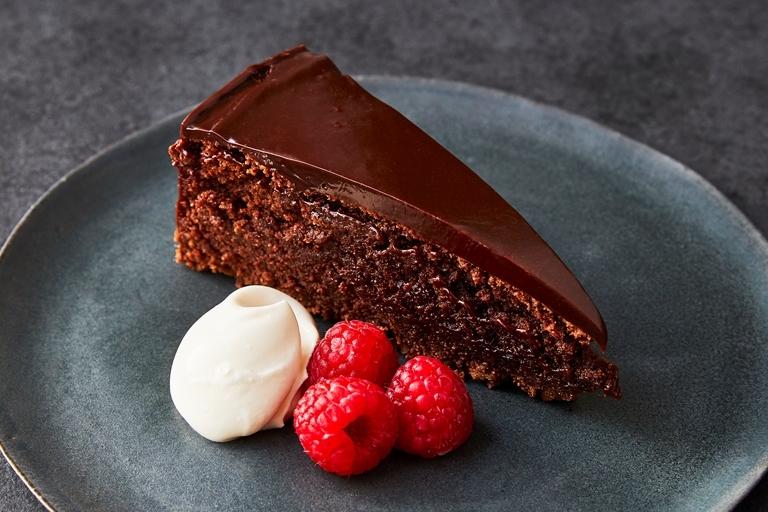 This glorious chocolate torte recipe from Shaun Hill tastes as good as it looks. With a cocoa biscuit base and silky chocolate ganache topping, this is a deeply decadent dessert that is surprisingly simple to make. This recipe appears in our first ever cookbook, Great British Chefs, available to buy on Amazon.